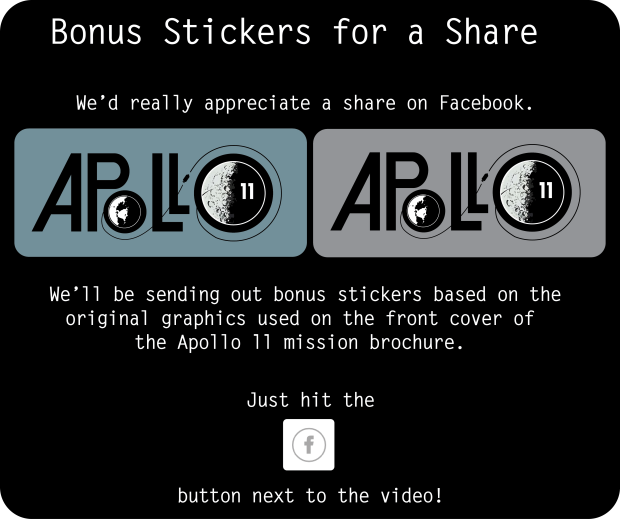 4,100 backers pledged $533,333 to help bring this project to life. 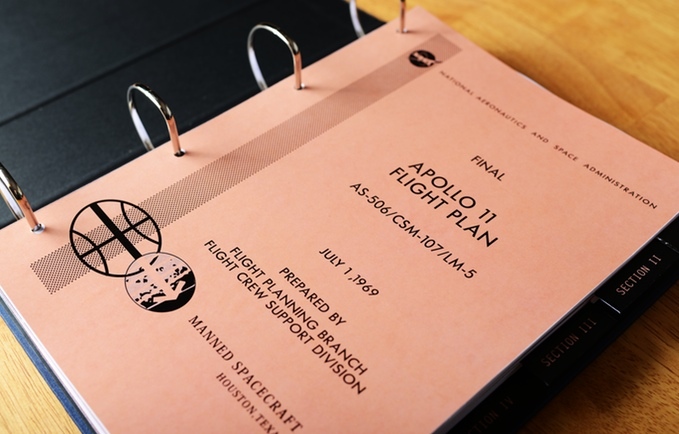 We set out with the goal of finding 150 people to help fund the restoration project of the Apollo 11 Flight Plan, a modest goal we were hoping to meet. What we found were 4,100 individuals, making this project the 8th most funded publishing project on Kickstarter to date! A sincere thank you to every one of you. Kickstarter will take 2.5 weeks to process the contributions, at that point we will have final list of how many backers have contributed to the campaign, and will be able to start work to gather shipping details and reward selection. Once again, thank you all, without your support this project would not have been possible. The Apollo missions were an amazing achievement of ingenuity, passion, bravery and commitment to achieving the seemingly impossible dream, of landing a man on the moon and returning him safely to Earth. Looking back 47 years to 1969 I’m in awe of the Men and Women at NASA and supporting sites around the world who were able to achieve this incredible feat with the technology available. We set out with one goal. 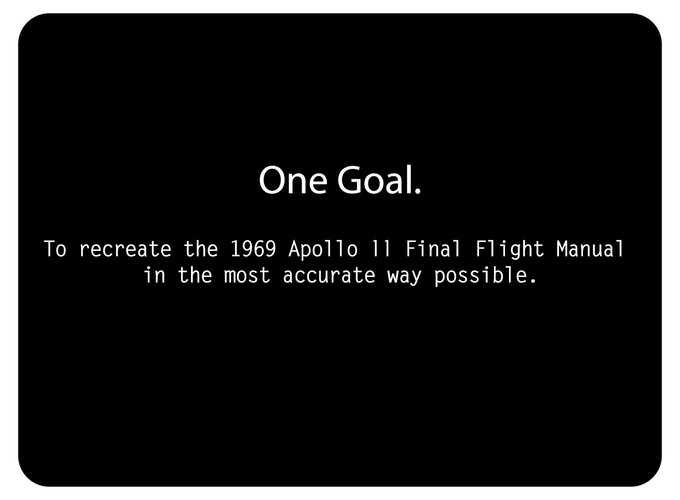 To recreate the 1969 Apollo 11 Final Flight Manual in the most accurate way possible. We have been disappointed with the quality of current reproductions available. They are only available as eBooks, use incorrect fonts and have used automated tools to convert graphics to vector illustrations, this is a hit and miss approach and results in an inaccurate document that doesn’t stay faithful to the original design and layout. 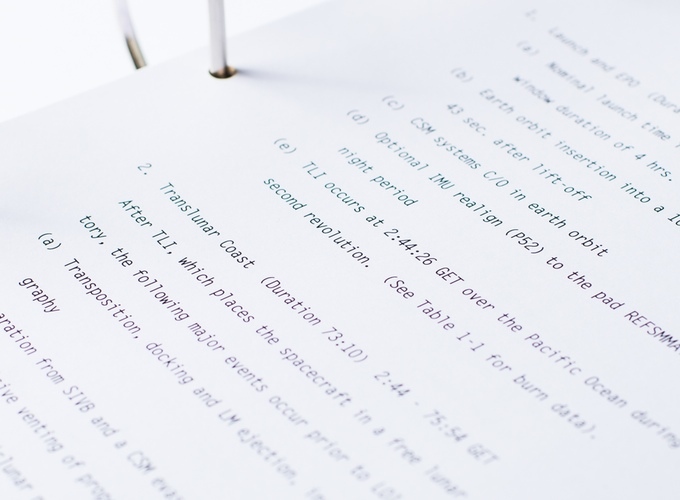 All text has been reproduced using the same fonts as the original Flight Manual. 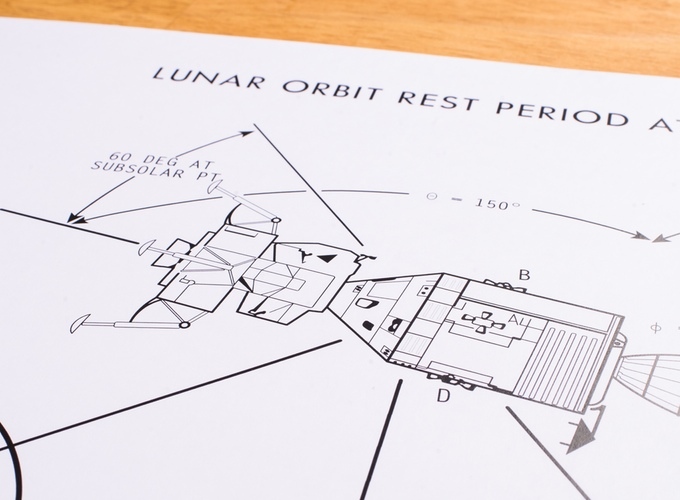 We are using the same line spacing and each letter appears in the exact same position on the page as the original Apollo 11 Flight Manual. Each 362 page document will be shipped in your choice of binder. 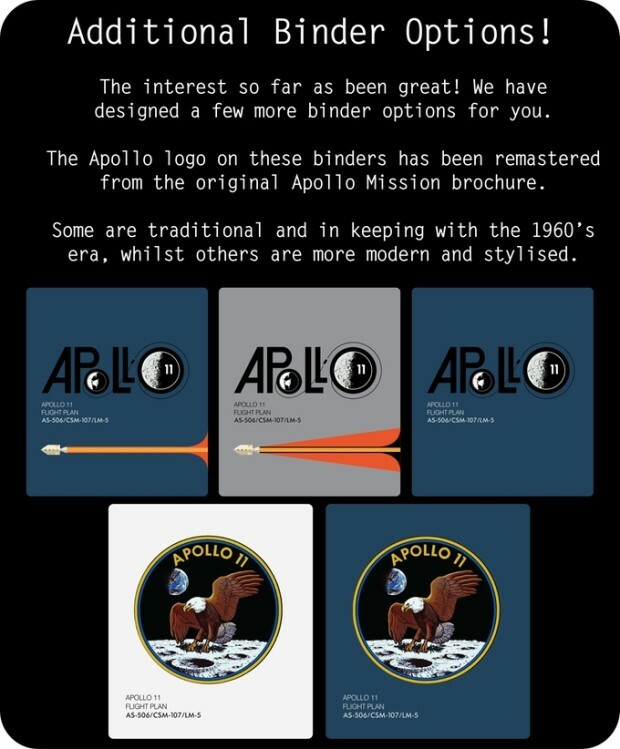 Each binder will be cloth wrapped for a soft touch and all artwork and text will be foil printed to produce the highest quality document. All tables and diagrams have been recreated using vector artwork, this allows us to infinitely scale and create the highest quality printed document. 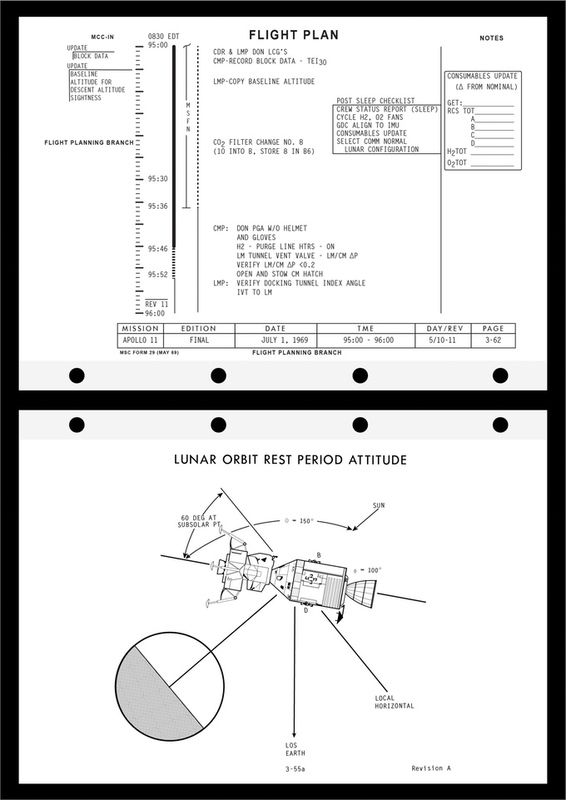 Everything will be reproduced in minute detail including fold out charts as per the original document. 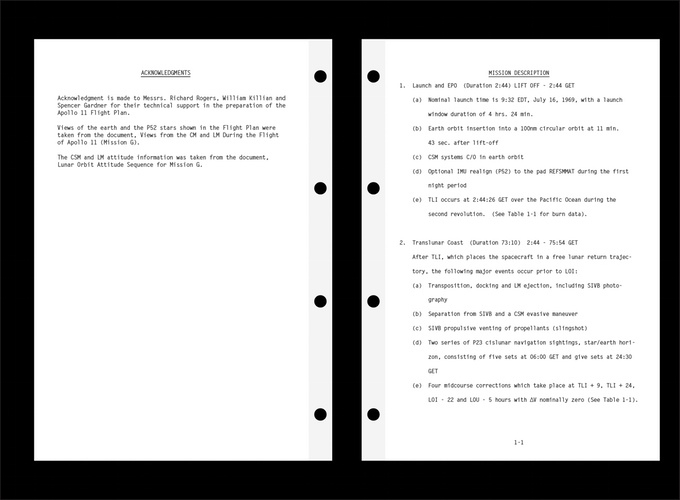 Each page will also be printed on reinforced paper to eliminate stretching or tearing. All artwork has been redrawn using high resolution scans to ensure perfect accuracy. 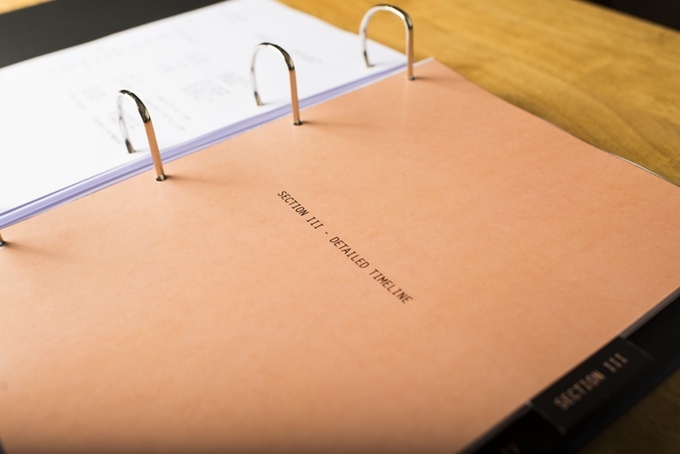 We have a finished prototype, confirmed a manufacturer for the binders as well as a printer who is able to produce the document to our exact specifications. 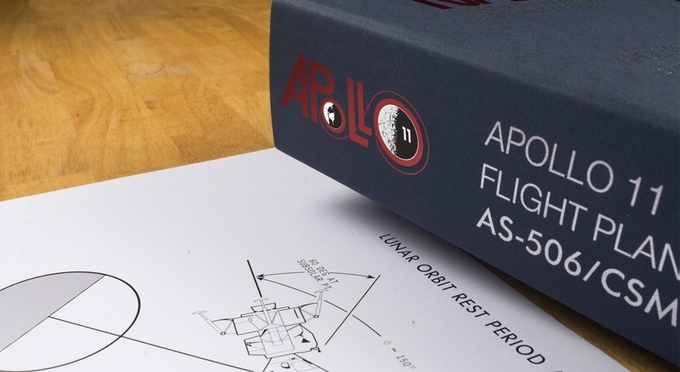 We need your help to fund an exclusive production run, so please back us today and secure your copy of the most accurate reproduction of the Apollo 11 Flight Manual ever created. All NASA logos and works are owned by NASA. 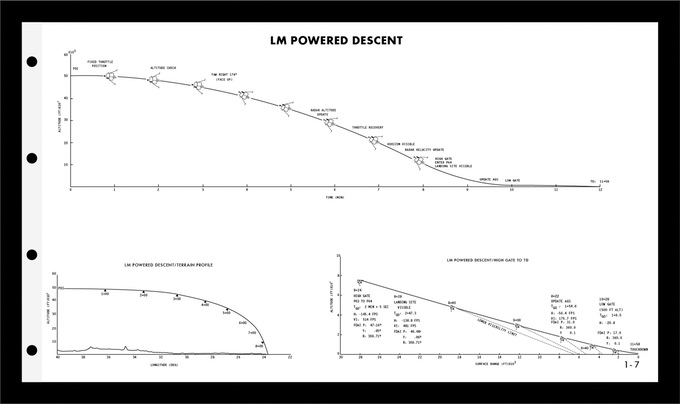 We maintain NASA as the source of the Apollo 11 Flight Manual. 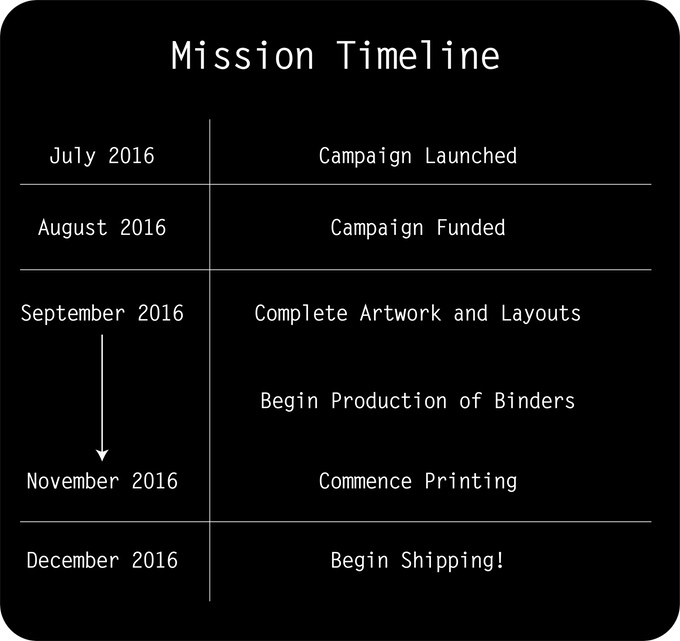 Pre-Orders open until October 31st, 2016 – Shipping commencing December 1st, 2016. Exclusive to the crowdfunding campaign, once November hits, this replica will no longer be offered for sale!